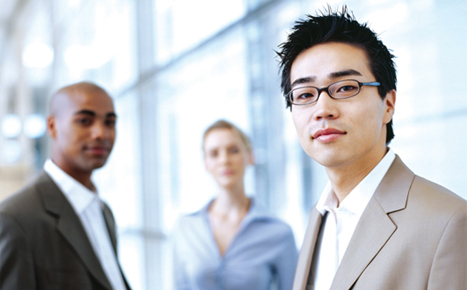 Cerulyan's business integration software consulting practice specializes in Enterprise Application Integration (EAI) and Service-Oriented Architecture (SOA). 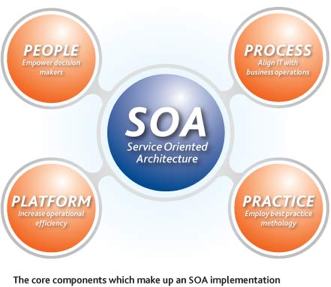 SOA is an IT services approach that organizes information sources and processes as independent services. 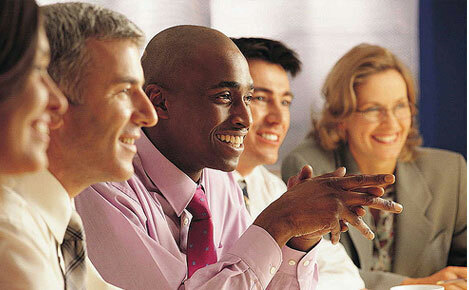 These services are based on industry-standard protocols that are independent of the underlying technology. 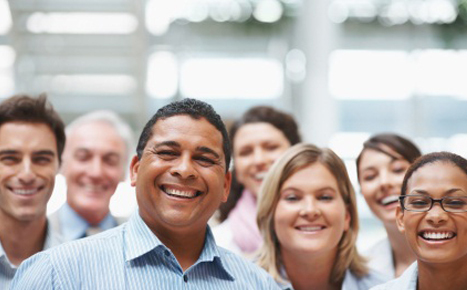 Rapidly changing business environments favor highly adaptable organizations. Companies that can quickly adapt their business processes to respond to new market opportunities or competitive threats do so not by accident, but by taking advantage of business strategies supported by flexible business applications and IT infrastructures. Truly innovative companies are extending those processes and eliminate functional friction between the enterprise and core customers and partners. 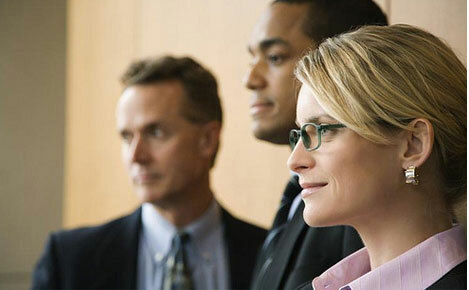 From a business perspective, SOA offers more effective integration with business partners, supports customer service initiatives, enables employee self service, streamlines the supply chain and facilitates global sourcing. Cerulyan SOA integration experts enable organizations to attain integration maturity between enterprise applications, partners (customers, suppliers, logistics, marketplaces, etc.) and people (employees, business users, etc.). Our Integration solutions include Enterprise Service Bus (ESB), Business to Business (B2B), Business Process Integration (BPI) & workflows, Composite Applications and Service-Oriented Integration. 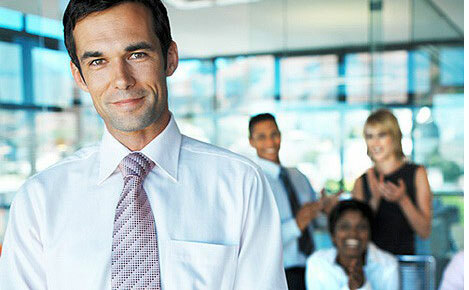 Cerulyan can provide SOA consultants and SOA Architects to assist you. Organizations are becoming increasingly dependent on the real-time flow of information across systems to do business, and most IT organizations are moving away from monolithic applications and toward service-oriented architecture (SOA) that makes software functions and information easily accessible and reusable as services. One key requirement of an SOA is the ability to make information of all kinds available wherever and whenever it's needed, without requiring extensive administrative effort and without putting undue stress and traffic on corporate and public networks. TIBCO Enterprise Message Service™ is standards-based messaging software that supports the implementation of SOA by enabling efficient synchronous and asynchronous system-to-system communications across a wide range of technologies such as Java EE, .NET, C, C++, TIBCO's own TIBCO Rendezvous® and TIBCO SmartSockets™ messaging software, and even Cobol and Assembler on the mainframe. Thousands of organizations have built their IT infrastructure on TIBCO's messaging software, including leading financial institutions, government agencies and telecommunications providers with extremely demanding distributed computing environments. 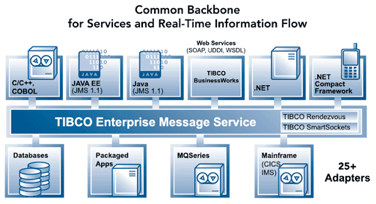 TIBCO Enterprise Message Service is standards-based messaging software that can serve as the backbone of an SOA by providing Java Message Service (JMS) compliant communications across a wide range of platforms and application technologies. 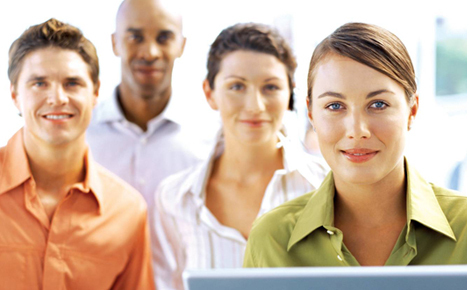 Cerulyan can provide Tibco Architects, Tibco Consultants and Tibco developers to assist you. For additional information on Cerulyan's SOA, ESB and specific Tibco services, contact us and we will be happy to discuss your requirements.